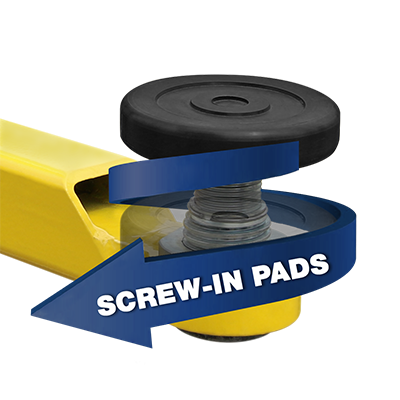 Adjustable screw lift pads provide the operator with a greater level vertical control when operating a BendPak 4,082-​kg. or​ 4,536-kg. two-post car lift. Gives an extra ​72 mm of clearance. Rubber top screw pad comes with one receiver. Each sold separately.